Scoring the planet for your new pair of elegant eyewear? Not ready to settle for the mass produced fashion options out there, in every magazine, on every billboard? Look no further than the big three luxurious cities of the world: London, Paris, and New York City. 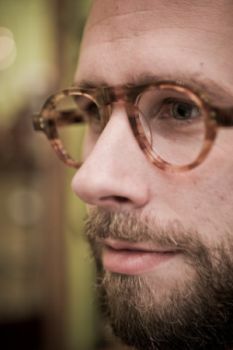 A triangle full of eyeglass history, these three cities boast the E. B. Meyrowitz company — a blast from the nineteenth century past and a must to make your look inspired with that cultured, vintage feel. Oscar W. and Emil B. Meyrowitz — 1869 American immigrants from Greifenhagen, Prussia — were opticians as well as dealers in surgical instruments in the latter part of the nineteenth century. After Oscar’s tragic death—an accident involving a tunnel train collision in 1902 — Emil went on to patent several optical instruments and develop E. B. Meyrowitz, Incorporated — the very same boutique found today. Seventy-seven years after Emil’s death! The eyewear has a stellar list of past clients: Dwight D. Eisenhower suited up in some Meyrowitz frames, as well as Winston Churchill, the very last king of France, Louis Phillipe, and the most current French president, Francois Holland. Quite a widely pegged crew — quite a century of eyesight! And who can forget those bespectacled individuals through which we see the very world around us — the artists, the painters. One of Paris’ most beloved artist — Claude Monet — left a note of instruction proclaiming that one must retrieve his glasses from the Meyrowitz. 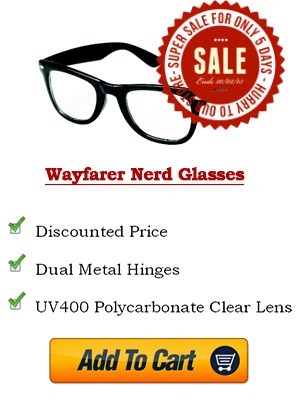 His circular frames are tinted blue, no less — with remakes available for today’s purchase. This blue tint provides the blue haze on his water lily paintings, on his haystacks. The hue gives the paintings depth, originality, a different mood very much individualistic of his style. It’s true he saw the world differently — from an artist’s perspective. But he also saw it differently through his round Meyrowitz eyewear. Did Emil have a hand in creating some of the most beautiful impressionist pieces of the century? Could Monet have seen the world the same way without the frames? The London practice is currently tucked away, alongside luxury chocolate and exquisite watch shops. It is a boutique, and therefore holds no relation to the towering retail stores — the one in a million items boasting discount after discount. This hidden away piece of optical history — today’s E. B. Meyrowitz was purchased some twenty odd years ago by Sheel Davison-Lungley. She keeps it personal; like Emil himself, she works alongside two of her siblings, her sisters — allowing it to be a family matter. This hones in on the craftsmanship of each individual piece presented at the establishment. A client can choose the model of frame, the color, or describe his ideal style: the boutique, the three sisters and their store, finds a way to meet his or her needs. Sheel Davison-Lungley is a passionate advocate for the brand. 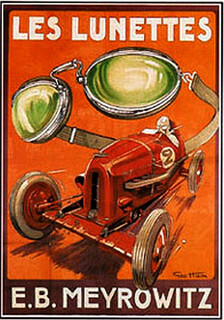 Prior to her purchase of the boutique, she saw the artistry and optical union and stressed its unique quality, its vintage longevity. The E. B. Meyrowitz line hosts no surgical-feeling, wire frames. Their frames are natural, warm. 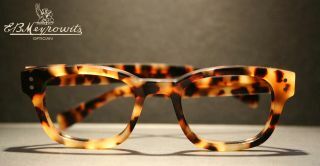 They boast materials such as tortoiseshell acetate and a natural buffalo horn. Remarkably, the buffalo horn frames hone in on the wearer’s skin temperature, thus allowing a comfortable, skin-to-skin feel. The glasses become another part of you — and why shouldn’t they — these utensils, these extensions of your eyes? Best of all, the buffalo horn comes from an ethical source, only cleaved from the animal after a natural passing. They are truly incredible — and average in at about two thousand English pounds each. They are a join of the past and present styles, a marriage of the old and the new boasting environmental ideas of today. The current stock sale frames are handcrafted in Belgium, England, Germany, Italy, and India. But don’t miss out on the renowned bespoke abilities of E. B. Meyrowitz. The eye of the frame-maker analyses your needs, your face shape, your style: he listens to you and crafts your own library geek-chic, top-of-the-line pair of spectacles. Back when Oscar and Emil first created the line — back when Monet and Churchill wore the frames — each was handcrafted, had no mind for mass production. Don’t you, your fashion sense, and your eyesight deserve this Meyrowitz treatment?